The Terrific, Not Terrible, Twos! Two years ago today, I stopped talking about a blog, logged on to WordPress.com and made it happen. For several years, I had been writing some magazine articles and a biweekly newspaper column about parenting our son through his addiction to drugs. It seemed there was a bigger audience, however, so about six months prior to the blog, I began tweeting as @OurYoungAddicts. There was so much more to share than was possible within 140 characters, and I hoped some of the online audience would follow to the blog. The first posts were primitive at best in terms of layout – just type with a colored background. It was a start and it felt good. From that point forward, the words kept flowing as did the following. More recently, Our Young Addicts created a logo and focused the content to focus on sharing our experiences, offering resources and instilling hope while continuing to foster a community of parents and professionals who care and are concerned about the young addicts in their lives – no matter where the kid may be in terms of addiction and recovery. Twitter remains quite active with multiple posts each day and significant engagement through Tweet chats including #AddictionChat on Wednesday evenings at 8 p.m. CT and #CADAChat on Thursday afternoons at 3 p.m. CT. We also post at least once a week on Facebook. Our deepest content, however, appears on the website and through the blog. Here, we have created and curated resources – with more to come – and Midwestern Mama (that’s me) continues to provide updates on her family. Our guest blog posts now run on Wednesdays. These alternate from a parent’s perspective, to insights from a person in recovery who actively used as a young adult (as early as tweens through 20s), and to the expertise of an addiction and recovery professional. There’s more to come as Our Young Addicts grows. 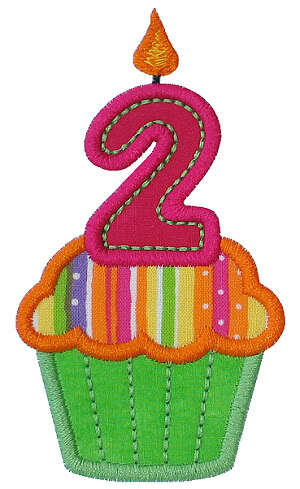 Without a doubt, we’re celebrating the terrific twos and are celebrating your support and participation!